Ouch! You are correct, I can reproduce this. I do all my EEP testing on a pretty empty region & LL viewer doesn't have FPS visible on the top menu bar so I never noticed. It's a pretty severe performance drop though. I also tested on the latest EEP nightly build and performance is as poor. Identical viewer settings & camera angle. Default LL release averaged 30 FPS. This is the denstest and heaviest part of Greater Coniston, that's one of the reasons why I picked the spot in the first place. But with the reservation that I don't know exactly what's inside those stores, it should still be fairly low lag for a mesh sim. 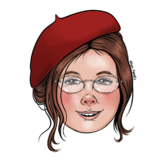 Are there any more "normal" residental or role play mesh sims or such on Blue Steel or Le Tigre? A Portal Park or a finished SSP sim could be good test locations since they are quite render heavy and fully controlled by LL. The effect EEP has on fps may be less in such settings since this is different than the usual fps reducers but it may also be alot more. In any case, @Oz Linden, sorry! You were right, we really need this kind of extensive testing! I got the same results there, about 30-40% reduction in fps. Many thanks to Rider and Graham for fixing the bug https://jira.secondlife.com/browse/BUG-226412. Now everything is displayed correctly. If it's that bad, EEP should be backed out. It seems that in the Second Life EEP Viewer version 6.1.1.525044 (Released on March 07, 2019) the water surface is totally opaque, no transparency on it at all. At midnight I noticed this weird effect on avatar's edges when looking against the water. The poor performance problem is fixed on the latest EEP RC viewer. I already filed a JIRA for this bug. I experienced EEP for the first time yesterday on the Default SL Viewer. I seriously hope LL is not expecting us to fill out a JIRA report for every problem we see. That would take forever. Although I like the idea of enhanced environments the implementation so far is very bad. The lighting effects are incredibly freakish. Everything is either too bright or too dark and colors are either totally washed out or obscured in darkness. The parcel lines cast an excessive amount of glow over everything shading entire building facades or terrain surfaces in a ridiculous red or green glow. Navigating through this environment is unsettling. I tried to turn the parcel lines off but that setting seems to be removed as well. I'm really surprised LL would allow this to be released. LL needs to either retract this release for further development or give a time line of when they think it will be fixed. This current version of EEP is so bad it's practically unusable. I hope LL can give timeline for fixing problem so we have some idea of when it will be OK to use Second Life again. There are still problems though. Apart from alpha glitching, most of the problems seem to occur at a great distance. Objects pop into view only when they are no longer partially occluded by a nearby object. Reflections of a mountain on the sea appears in the wrong place depending on camera height. When your camera is high above ground level, the sea looks just wrong, it makes for a dizzying experience when you rotate your camera. Distant objects blend with the sky better than before, but not the horizon itself. I've been keeping things with the current EEP Viewer on the Mid-day setting to keep the display a bit more consistent but even then if you have a white or light gray surface you are working with such as a wall on certain exposures it is so bright it is painful - like looking into the sun. This is not good. It's just as bad and even worse working in the Shared Environment setting because although it's generally very dark the bright areas are just as bright. So now after your pupils have dilated being in a dark environment for so long your eyes suddenly have to deal with a harsh bright light. @Jaauuwn EEP is a very complex area that takes a long time to set up perfectly. It will certainly take even longer until really perfect settings are displayed. Alone to adjust the position of the sun exactly, it takes a long time and tens of dozens of attempts. In addition, there are settings such as fog, etc. where you again need dozens of attempts to get it perfect. I would suggest that you practice patience and wait and see how everything develops over the next few months. Aside from putting out fires and tweaks, this EEP is EEP. Once deployed live, it will not receive more active development time, probably for a very long time, if ever. Sitting about silently playing wait and see if the very last thing you should be doing if you are finding problems. Alone to adjust the position of the sun exactly, it takes a long time and tens of dozens of attempts. To assist in setting the sun and moon positions, the editor will allow you to turn on "beacons". They show up as a line drawn from your avatar to the position of the sun or the moon. I hope that this helps in finding and adjusting their positions. The bug queue of open JIRAs is actually distressingly short at the moment. 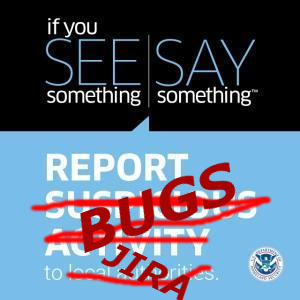 If you see a problem please submit a JIRA, or there is no guarantee that I will see the issue. the problems I listed above are shown around 1:30 to 2:00 in the video I posted above : The window inside the wooden house, then the way a distant object pops into view when exiting the house. Then, as the camera flies out of the house, look at the sea in the distance and how the sky reflects on the water while the mountains' reflections appears further from the shore. At 3:10 you see the strange reflections in the water. Do you have JIRA numbers for those issues? I don't seem to be able to create new EEP settings. The option is greyed out and the "Settings" system folder is either hidden or missing. Is there a step I'm missing? @Clorophill You need to be on a EEP enabled Region witch is Blue Steel RC and LeTigre RC. On Magnum RC or Mainchanel it wont work. And you need Land Rights on that Parcel you wanna try out EEP. I'm a fan of the possibility of EEP, but this all gives me pause. Maybe I'm missing something?